When you have a frozen pipe, one of the first things you do is locate where the frozen blockage is. Once you know where the block is you need to turn off the water main connected to that pipe. Also taking off the faucet connected to the pipe is recommended to allow the steam to vent once you start the thawing process. You can have a bucket at each end of the pipe to catch the water as it thaws. A bucket at the top of the pipe by the faucet could be necessary to catch the water that will come back up as it melts the ice blockage. When thawing exposed frozen pipes it is important to keep the water main valve open so that as you thaw the pipe the water can easily drain out and to heat the pipe from the faucet down to where the frozen part is. You can start thawing the pipe with a few different items. You could use a hair dryer, heat lamp, small portable heater, electric pipe heat tape. Using a high power is the safest way thaw the pipe, just make sure the faucet is removed and start at the top of the pipe. Using a heat lamp is a good way to thaw a pipe that is behind a wall. You can also put a cookie sheet or other metal piece on the opposite side of the pipe to help reflect heat onto the frozen pipe. The small portable heater works great on frozen pipes under the sink or other confined space to put heat towards the frozen part to thaw it. The electric heat tape needs to be wrapped around the part of the pipe that is frozen. You wrap it and plug it in, the temperature is controlled by a thermostat. When the temperature outside cools severely there is a chance of your pipes freezing. Discussed above are some great methods of how to thaw your frozen pipes and how to prevent frozen pipes from happening in the first place. It may also be a good idea to keep an eye on the overall temperature as the seasons approach winter and as it starts getting warmer in the spring time. While you may do the above to thaw and repair frozen pipes yourself, it is advisable that you also seek the help of professionals like the Best Plumbers Perth. We are experienced and equipped in handling all sorts of pipe problems as well as other plumbing issues you may have from leak detection Perth to gas pipe repair as well as burst pipe repair. Issues with the plumbing system in your home or business tend to occur when you least expect it. Although it can be frustrating to deal with, many plumbing problems can be easily resolved with the help of a roto-rooter. A roto-rooter or similar plumbing snake can easily be rented at hardware stores or other locations, but it may be best to allow an experienced plumber to perform the work and ensure the issues don’t come back in the future. To receive immediate help, contact the Best Perth Plumbers at (08) 6311 4056 for 24/7 assistance. A clogged toilet tends to be the most common and irritating plumbing problems that can happen, but it’s also the simplest issue to fix. Many times using a flanged plunger can release the clog but if that doesn’t work, consider using a roto-rooter to clear stubborn debris from the toilet plumbing. Not only will this often clear the clog, a roto-rooter will scour the pipe and remove any excess material that may lead to another clog later down the road. Over time, hair and soap scum can form a clog in the shower causing the water to drain very slowly, if at all. First, try to resolve this problem with a flat plunger (not a flanged plunger) to see if the clog can be released. If this doesn’t appear to work, rent a roto-rooter or contact a local professional to bring a roto-rooter to your home or business and take a look. Sometimes clogged toilets or blocked drains may indicate a more systemic problem with your home’s plumbing system. When plunging doesn’t work, it may be due to the fact that the clog is located deep in the sewage system, requiring the use of a roto-rooter or other plumbing tools. If you’re experiencing multiple clogs or severely blocked drains at one time, chances are that this is the problem. For more labor-intensive jobs like this, it may be best to let an experienced plumber evaluate your plumbing system and use a roto-rooter if needed. A roto-rooter can be dangerous to use, so if you’d prefer to do the job yourself, always wear gloves and follow the operating instructions closely. Since there’s no guarantee that a roto-rooter will resolve your plumbing complications at your home or business, it may be best to contact a local contractor who can bring all the tools needed to tackle any issue that may present itself. For the best service around, day or night, call the Best Perth Plumbers at (08) 6311 4056 to get your plumbing system working like new again. What is Septic Tank Plumbing? The septic tank is commonly forgotten about until a problem arises with this type of toilet plumbing in your home. Your septic system is one tank that is commonly buried in your backyard under the greenest patch of grass. 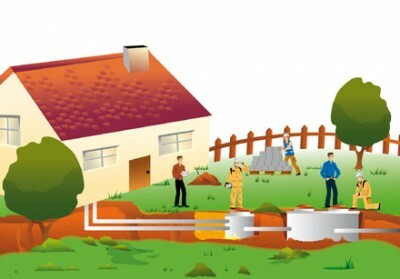 The septic tank holds all of the waste from all the pipes in your home. I’m going to be talking about how septic tank plumbing works. Your septic tank contains all the waste that is produced by your household. All of the pipes from your kitchen, bathroom, and other rooms that contain pipes all meet at one pipe that goes to the septic tank. Your septic tank contains 3 layers based on weight. The bottom layer is the heaviest and is called sludge. The top layer contains fats, oils, and proteins that float on top, this layer is called scum. The middle is made up of a liquid layer called gray water. The septic tank has a drain field to drain out the gray water. The gray water has a lot of nutrients in it which makes it good for soil, which is why the grass above the tank is more green than the rest of your lawn. Over time the top layer and the bottom layer will need to be pumped and that is when you can have a septic tank plumbing and cleaning company come out to pump your tank. Septic tank plumbing and cleaning is required to be done periodically; this is not just your usual bathroom plumbing. The top layer and the bottom layer build up over time and once the top layer is within 6 inches of the draining pipe and the bottom layer is within 12 inches of the drainage pipe is when you should get your tank emptied to avoid the contents from getting into the draining field. Since it can be difficult to tell when your seepage gets to the correct levels for a draining, it is recommended to get your septic tank system checked every year. There are certain products that you can put into your septic tank that will prolong the need for a pumping. However; there are consequences for using chemicals on your seepage. If you don’t get your septic tank pumping when necessary, it can lead to overflow into the draining field and sometimes it could come back into the house. If this happens it can lead to damages in the house, in your yard and if the tank overflows enough it can leak into nearby bodies of water or even taint underground water. When it is time for your septic tank to be pumped, there are many companies that specialize in septic tank cleaning. One of these companies comes to your house with a truck with a big tank and a pumping hose. Once the tank is pumped, the tank is empty and ready to be filled again. The company then takes the septage to a dump site to be buried underground. There are a few different uses for the septage if it is not dumped. It can be used as fertilizer to grow food and it can be treated in cesspools to be broken down into effluent. A more common use for the septage is to generate electricity because of the methane it contains. When you have a septic tank, it is required to get your tank pumped periodically. The process of getting your tank pumped is a big part of the septic tank cleaning process. It was discussed above what is in your septic tank, how it is pumped and what can happen if your septic tank overflows. Whenever you encounter toilet plumbing problems such as septic tank repair or low flow toilet repair, Best Plumbers Perth are the experts to call. We have vans all over the Perth area, equipped with all the latest plumbing gadgets and technology. We are always ready to respond to all your plumbing needs. In Australia, dual-flush toilets are commonplace and their ability to conserve water have made them attractive to families all over the world. However, for homes and businesses that are looking to save as much money as possible on water bills, a low flush toilet may be an alternative option to consider. By using up to 30% less water with each flush, a low flow toilet can certainly be a sound investment. If you’re considering purchasing a low flow toilet, contact a local professional to evaluate your toilet plumbing to ensure it’s the best option for you. 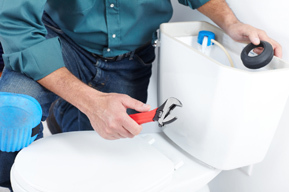 To receive fast help installing a new toilet or replacing an old one or just about any expert plumbing services you may be needing, call the Best Perth Plumbers at (08) 6311 4056 today. If you’re current toilet has stopped working and you’re not prepared to buy a new one, call a trusted local plumbing service to perform a toilet repair. Leaky or clogged toilets can often be easily fixed by an experienced contractor, but if your toilet plumbing problems are persistent, it may be more cost effective to purchase a new low flow toilet. Not all plumbing systems are suited to support low water toilets, so it’s important to ask a professional if your property could benefit from having one installed. If your single flush, low flow or dual-flush toilet continues to break down, it may be time to purchase a new model. To reduce energy costs and save money on water, this is a perfect opportunity to browse for various models that can drastically reduce water usage. Many times, the initial investment cost can easily be earned back in the amount of cash saved during the life span of an energy efficient toilet. Removing an old toilet and replacing it with a newer model can be tedious, challenging work, so it’s often best to allow a professional to do this for you. Installing a low flow toilet can be done quickly with the assistance of experienced plumbers. Once all the toilet plumbing connections are in place, your old toilet can be hauled away and the new model can be used immediately. You should quickly begin to notice a reduction in monthly water bills, especially if your home or business has more than one low flow toilet installed. To further save money, you may also consider having low flow showerheads installed. To learn more about reducing water waste with low flow toilets or other plumbing fixtures, call the Best Perth Plumbers any time at (08) 6311 4056 for answers to any questions you may have. 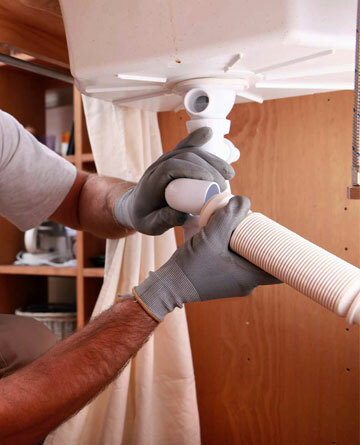 With years of combined experience and extremely fast response times, the Best Perth Plumbers have earned a reputation for being among the most reliable team of plumbers around. 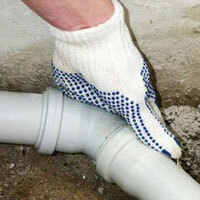 We can do all sorts of plumbing jobs from drains and pipes repair to kitchen plumbing to septic tank plumbing. How Important is Gas Pipe Repair? For any homeowner or business, it’s a good idea to have gas pipes inspected on a regular basis by a certified gas plumber. In many cases gas pipe repairs- both big and small- can alleviate a tremendous number of issues before they occur. Gas pipe repair enhances the safety of any property but it also provides priceless peace of mind. The value of gas pipe repair cannot be understated. Here are a few reasons why keeping gas pipes in top condition is so important. If you’d like to have your gas pipe system inspected or repaired by certified professionals, contact the Best Perth Plumbers at (08) 6311 4056 today. Upon inspection a plumbing contractor may perform gas leak detection. Gas leaks can be extremely dangerous if left unresolved and if an issue is found, it should be repaired immediately. Leaking gas can be odourless which can make it difficult for many to notice anything is wrong. The fumes emitted from damaged or leaking gas pipes can be harmful to the health of loved ones and this especially applies to children or pets. Also, a gas leak can increase the likelihood of a fire occurring due to its combustible characteristics. All of these problems and more can be easily resolved with a simple inspection done once a year or so. Any home or business can greatly enhance its safety by having regular inspection and gas pipe repair conducted. Protect your investment with gas pipe repair the moment an issue is found. Even if everything appears to be working fine, it’s best to schedule regular inspections by a certified contractor. Sleep better and rest easy knowing your home or business is fully protected from the dangers of damaged gas pipes or gas leaks. Chances are after the repairs are completed, you’ll breathe a sigh of relief and be able to move on to more important matters. Perform gas pipe repair before it turns into an expensive nightmare. It’s much better to spend a little cash on replacing one piece of pipe than an entire gas pipe system. Don’t put off gas pipe repairs for a single day as the cost of repair can only increase as time goes on. Taking care of the problem now can potentially save a ton of money and frustration later down the road. To receive the best drains and pipes repair such as gas and frozen pipe repair, call Best Plumbers Perth today at (08) 6311 4056 and get immediate assistance with any complications you may be experiencing. The Best Perth Plumbers are available 24 hours a day, 7 days a week and are ready to respond to any service call in a flash. It’s been a long day at work, and all you’ve been looking forward to for the last few hours is a nice hot shower to just melt the stress away. You turn on the water and step into the shower, and it hits you: there’s no hot water! You jump right back out of the shower, shivering, and fumble around for a towel. What now? Regardless of whether the hot water system in your home is an electric hot water system or a gas one, we will repair it quickly and efficiently, so you can finally take that nice hot shower. 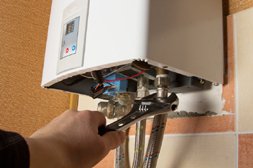 Our qualified and experienced plumbers and gas fitters provide emergency hot water repairs for both domestic and commercial clients. Better yet, we’re ready to come to your place at any time of day or night, no matter the weather. Our fully qualified hot water plumbers will give you honest, expert advice on how to resolve your hot water problem, as cost-effectively as possible. They will also assess the overall age and condition of your entire water unit and advise a water servicing plan that will provide maximum efficiency and unit service life, so you don’t have to worry about this for years to come. And as our service vans contain all of the equipment most repairs require, we are usually able to offer fast and effective hot water repair and fix issues during our first. And even if it should happen that we can’t, we will see to it that an emergency hot water system is set up in your home in the meantime, so you never need to worry about taking a cold shower. Just give us a call! The reason you’re not getting hot water could really be quite simple—one of the most popular causes of hot water heater failure is blocked pilot tubes, and it’s often often find spider webs blocking gas flow. Other common issues are blocked line strainers, faulty solenoids and faulty ignition packs, as well as thermocouples, which ensure the gas is only switched on when needed, when not replaced periodically. If after a thorough examination we decide that your hot water system is beyond repair, you still have no reason to worry about having to go without hot water for any extended period of time. We stock a range of replacement gas and electric hot water systems, so the replacement will happen as soon as we can get the new hot water system to your house, and we always reduce that time to the minimum. In fact, we can often do same day system replacement, but if our suppliers are closed because of a bank holiday or some other reason, we can hook you up with an emergency hot water system for the time being and then return to install your new system after our suppliers have reopened. Hot water tempering valves are an integral part of your hot water service, as they mix hot water with cold automatically in order for you to achieve a both desired and safe water temperature. 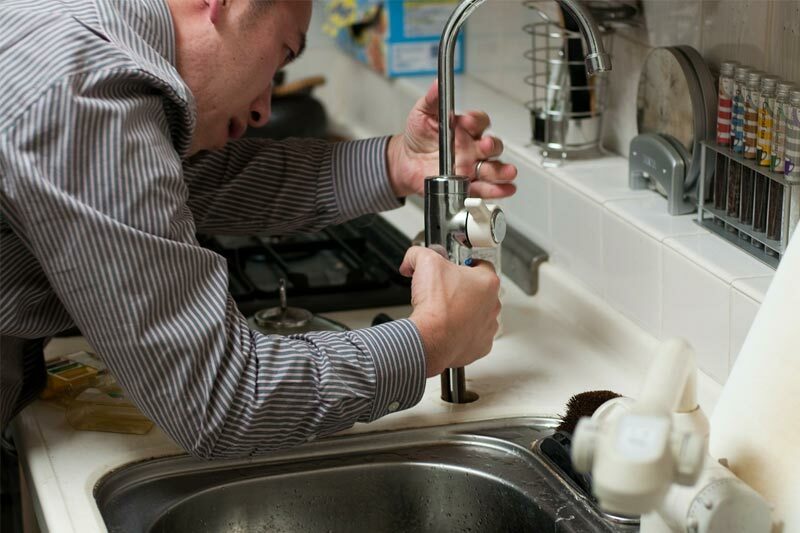 Our plumbers are appropriately licensed to install all types and sizes of hot water tempering valves, along with relief valves and cold water isolation valves. If electrical work should turn out to be required, rest assured knowing we work closely with our approved electricians to make sure that all delicate electrical work is carried out safely. Whether you’re experiencing hot water issues in your home, or in your business, contact us now for fast professional emergency hot water repairs. For our part, we guarantee a fast response and professional, comprehensive hot water repairs and hot water unit replacement including hot water boiler repair. Don’t wait till tomorrow to take that shower, call us now! When you’re wanting to buy a new shower and you just don’t know which shower to buy, here is some useful information to keep in mind. There are a few things to remember to get the most use out of your shower. Before you can decide which shower to buy you should know that there are a few types of showers that have different features to choose from. These types are mixer, power and digital and electric showers. When choosing the best option, you might also want to consider which type is more manageable when doing DIY shower repairs. A mixer shower is your standard shower which takes both hot and cold water to get your ideal temperature. A power shower is like a mixer but it has a built in pump which increases the flow of water. With a digital shower the temperature and water flow is able to be controlled better. 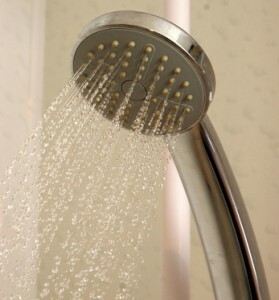 The electric shower works by taking cold water from your main water system and heats it with built in heating parts. There are a few features that you are able to add to personalize your electric shower. There are features that let you control your ideal temperature and set the water to it. There is a water saving one that once turned on it will run your shower to your set ideal temperature and then turn off the water until you’re ready for it. When you’re deciding which shower to buy keep in mind the different types of faucets and how they are mounted. Faucets for a bath have 3 different ways they can be mounted. There is the wall mount, freestanding, or deck-mount. The wall mount are installed using pre drilled holes above the bath tub. When your tub and shower are one in the same fixture this mount is the most common. There are freestanding mounts which are used on tubs that don’t have pre drilled holes. This tub is completely separate from the wall, like the claw foot tubs. The faucet can be placed at either end of the tub, based on preference. The deck mount is similar to the wall mounted one except this one is mounted to the tub itself. 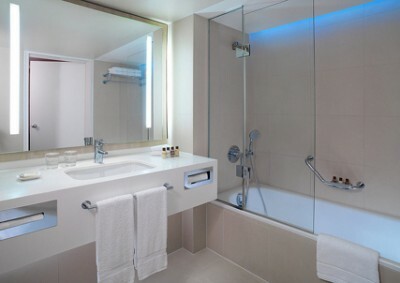 Shower faucets are commonly wall mounted but it can be tub mounted for the shower/tub combinations. When you’re deciding which shower to buy keep in mind what you want your faucet to be made of and which color best goes with your bathroom decorations. Faucets for the shower are typically made of brass for the plumbing parts and zinc and brass for what you can see. Brass is the best for longevity and it has the best durability however it is more expensive. There is also chrome which is durable, more economical and is super easy to clean. It doesn’t rust as easily but watermarks will show. Chrome is a silvery color. There is the nickel finish which looks good, is durable, easy to clean and is resistant to scratching and discoloration. Nickel is a tan color. You can mix colors for a combination of the finishes. Brass faucets are a shiny gold color and are resistant to damage and wear. Lastly, there is bronze which has a rusty color and is resistant to scratches, rust and discoloration. When you’re looking for which shower to buy you should keep those points in mind to help pick the best shower/tub for your household. You can always ask a professional or in store representative for advice. 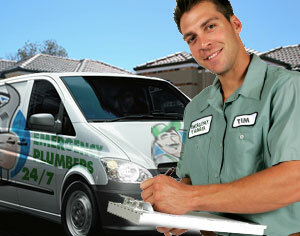 Give Best Plumbers Perth a call and we’ll be glad to help you out. We are expert in all things plumbing from hot water repairs and installation to shower repairs to kitchen plumbing. If you’ve noticed a recent increase in your monthly water bill, it may be due to water leaks occurring somewhere in your plumbing system. Locating and fixing these leaks can greatly reduce your water bills and also improve the comfort of your home or business. For expert assistance in professional leak detection Perth and plumbing leak repair, call the Best Perth Plumbers at (08) 6311 4056 today. While some companies may take several days to show up at your home or business to perform maintenance, the Best Perth Plumbers are dedicated to being there when you need help the most. Do I have Plumbing Leaks? Water leaks in a the plumbing system of any home or business may not be readily apparent for quite some time. One way to determine if plumbing leaks are to blame for draining money from your wallet, turn off all the taps and check to see if the water meter is still ticking, then there is a leak somewhere in the plumbing system. Some plumbing leaks may be obvious, such as a leaky faucet or dripping showerhead, and can often be easily repaired by a qualified plumbing contractor. Many plumbing leaks may be subtle until a burst pipe or other issue makes the problem much worse. To detect the small leaks before they get out of hand, contact an experienced plumber to perform a complete leak detection service for your home or business. Even if you don’t believe plumbing leaks are an issue at your home or business, having leak detection done can give you peace of mind and possibly locate complications before they get out of hand. Neglecting to take care of plumbing leaks can contribute to a wide range of other problems. Water leaks will increase the moisture content of any home or business which can lead to unbalanced humidity levels. When humidity levels get too high, allergens in the air can cause sneezing and eventually lead to rhinitis or aggravate asthma symptoms. Dust mites and mould also proliferate in environments with high humidity, both of which pose health hazards, especially to pets or young ones. Pests like cockroaches or rats will also gravitate to areas that contain a water source. In light of all these hazards, it’s easy to see just how important it is to take care of plumbing leaks the moment they appear. For fast plumbing leak detection or for immediate burst pipe repair, call the Best Perth Plumbers at (08) 6311 4056. Our friendly, experienced staff are on call 24 hours a day, 7 days a week, and won’t make you wait another day to have your plumbing problems completely resolved. Don’t wait around for second-rate service when the Best Perth Plumbers can get your plumbing system working like new in a flash. The first tip on how to unclog a drain is to check the sink. By this we mean that you will want to clear out anything in the bowl of the sink and check the opening to the drain for anything clogging passage. If you have a garbage disposal in the sink and have cleared the sink and top of the drain then you can run water and run the garbage disposal for a few seconds. If this seems to have dislodged anything you can run the garbage disposal a few more times with the water running, otherwise turn the water off and proceed to the next step. The next method on how to clear up a blocked drain is to check the pipes. Under the sink there will be the drain pipe leading away from the sink, This will have a removable section. You will want a large bucket to catch water caught behind the blockage and to lay down a towel to catch anything that splashes. Next you will use a wrench to undo the removable section of pipe, making sure to have the bucket underneath. Run a coat hanger through the removed section of pipe to dislodge any blockage. Next use the same coat hanger to attempt to dislodge any blockage from the two now exposed pipe openings. Now that that has been removed you can install the section of pipe you took out making sure to use the wrench until the connections are snug. You can also keep the bucket underneath and run the water a little to check that it’s not leaking after you’ve reinstalled it and to check that the drain has been unblocked. If neither of those options work, here are some other methods for unblocking drains. You can buy a fluid from a general store for problems with blocked drains and these can be good to use every few months to prevent build over time. If none of those options work though it might be best to hire a professional plumber to fix te issue because it means the clog is likely deep in the pipes of your home and difficult to narrow down and remove by yourself without their equipment and experience. Now you know a little more about how to unblock a drain. We talked about clearing it from the top of the sink, what to do under the sink, and what to look at for options if neither of those work, so now you should be a little better prepared if you get a clog in the drain of your sink at home. Knowing how to unblock a drain is never a problem with Best Plumbers Perth.